Greetings! Topics in this Newsletter: Allergies, upcoming community classes, and Dr. Van Dusen’s upcoming guided group spring cleanse. It’s that time of year again, when an estimated 10-40% of the population starts to experience itchy eyes, an itchy, runny nose, sinus congestion, fatigue, and many other wonderful symptoms. We’re starting to have such nice weather, and unfortunately for some, this means starting to feel poorly! What are seasonal allergies anyway? Seasonal allergies are an over-reaction by the immune system to foreign substances such as pollens, molds, grasses, and weeds. Over time, as the body is continually exposed year after year to certain allergens, it begins to develop a “memory” for these substances. There are actually immune cells that are simply hanging around in your nose, ready and waiting for that spec of pollen. The immune response that ensues, mainly due to the release of a substance called histamine, is the body’s attempt to get rid of the offending agent, through increased mucus production, etc. This is a natural response…the problem is that it’s over-active in some people. Why do some people have allergies and not others? We’re all exposed to the same stuff if we live on the same block. The difference is that the “allergens” are not the cause of allergies. The cause is individual susceptibility, which can be due to a number of different variables. The most common variables are stressed and over-worked adrenal glands, a high level of inflammation in the body, and poor digestion. There may certainly be genetics and many other factors at play unique to the individual as well. What can be done to prevent and treat allergies naturally? In order to really prevent and resolve allergies, it’s necessary to create balance in the body overall, which is completely individual. However, addressing the most common variables mentioned above can be helpful for many people. Support your adrenal glands. The adrenals are weakened by overwork, lack of sleep, and consumption of stimulants like sugar and caffeine. Healthy adrenals are necessary for proper (not overactive) immune function and for reducing inflammation in the body. What do the adrenals like? Routine! They like a regular sleep schedule with a sufficient amount of sleep, they like rest, and they don’t like too much stress or over-stimulation. In addition, a nice home remedy for the adrenals is to end your shower with a cool spray to the mid back for about 30 seconds. Reduce Inflammation in your body. Well, this is a huge topic. The easiest way to reduce inflammation in the body is to reduce dietary triggers for inflammation. See my Basic Dietary Guidelines for anti-inflammatory dietary recommendations. Generally, it’s a good idea to avoid processed foods, fried foods, and have a whole-foods diet. Next in line would be to eliminate inflammation-causing food sensitivities from your diet, which can be tested for through a Naturopathic Doctor. An additional supportive measure for reducing inflammation is to add omega 3 fatty acids to the diet, or to supplement with fish oil. Take probiotics and eat fermented foods! There are supposedly more healthy bacteria living in our gut than there are cells in our body! These little guys play many roles in our health. In regards to allergies, they help stabilize the immune system, and support proper digestion. Probiotics can be supplemented or obtained through eating fermented foods such as sauerkraut, kim-chi, tempeh, yogurt and kefir, and kombucha. Nasal lavage: use a neti pot with warm water and sea salt daily during allergy season to clear the nasal passages and heal the nasal mucous membranes. Avoid dairy and citrus: these are mucous producing and cooling to the body. Include foods high in quercetin, an anti-inflammatory and anti-histamine flavonoid. There are high levels of quercitin in onions, apples, dark greens, red grapes, and green tea. Green tea is also high in catechin, which has a similar effect. Quercetin may also be supplemented, and is best started a month or two before allergy season hits. Go nettle hunting! Fresh nettles can work wonders for allergies. Just make sure to wear gloves! Once you get them home and blanch them, they won’t sting anymore. Make nettle tea, add them to stir-fries, make nettle-pesto, be creative! NAC (N-Acetyl Cysteine): an amino acid that acts to break up mucous and is a potent anti-oxidant. Vitamin C: enhances immune function, is a great anti-oxidant, and strengthens mucous membranes. Wash your face or use a damp towel to get pollen out of your hair when you walk inside. Use an air filter in your house. For more information on current pollen counts and other environmental allergen info in your area visit the National Allergy Bureau’s pollen and mold count by location. Feeling blah? Would you like to feel lighter and more energetic heading into Summer? A dietary cleanse is a great way to care for yourself, rejuvenate, and reduce the toxic load in your body. Have a friend join you! This cleanse is open to current patients and the general public. A nine-day dietary cleanse including 3 days of juice fasting. A Craniosacral therapy session with Dr. Van Dusen to enhance your cleanse. Detox supplements and home remedies to support you during the cleanse process. A 50% discount on an individual follow-up visit with Dr. Van Dusen after the cleanse for those interested (new or return patients). Deepened cleanse options and support if desired. 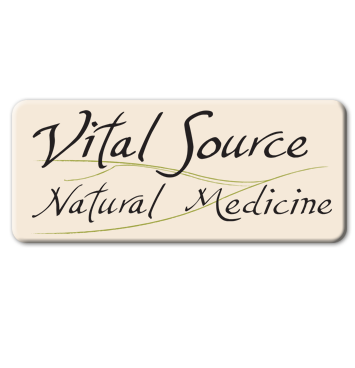 Classes will be Held at Vital Source Natural Medicine, 1111 West Holly St. Suite E.
Monday, May 9th, 6:30-8 pm: Intro to detoxification and cleanse guidelines. Wednesday, May 18th, 6:30-8 pm: Food re-introduction, food sensitivities, cleanse support. Wednesday, May 25th, 6:30-8 pm: Cleanse review, advice on reducing toxic exposures, and options for continuation of detoxification therapies. May 10th-16th: Prep week, begin detoxification therapies. May 17th-24th: Cleanse, Craniosacral sessions available. *includes educational classes, detox supplements, and Craniosacral session. *Participants will need access to a juicer, or be willing to purchase high-quality fresh fruit and vegetable juices for a total of 3 days. Advanced Registration is required. Please sign up by Wednesday, May 4th. Dr. Van Dusen will be giving a lecture on Daily Detox Strategies for Optimal Health this upcoming Monday, April 25th from 6:30-8 pm at the Butterfly Life Women’s Fitness Center. She will present information on how our bodies naturally eliminate toxins and metabolic by-products, why these processes are vital to our health, and specific self-care therapies to help optimize them. The event is free and open to the public. Please sign up ahead of time at Butterfly Life: 2460 James St. in Bellingham, or call (360) 671-0669.